The transformation from a passive online PDF customer magazine to a content hub was successful for Morawa. 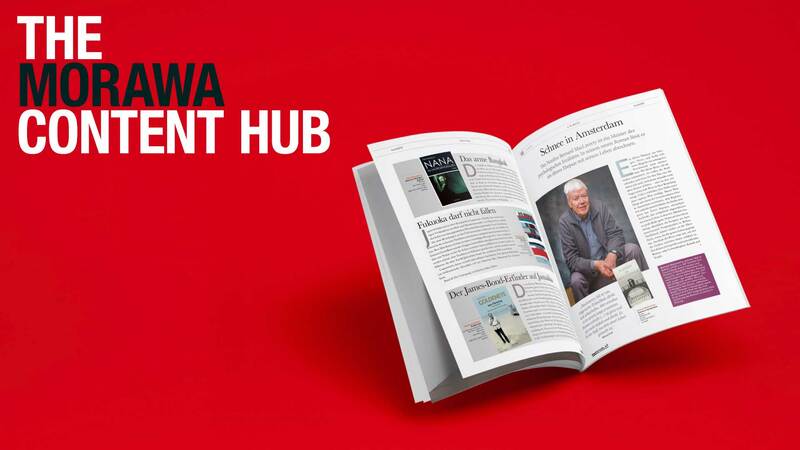 Before the content hub was created, customer magazines were available as PDF for download on the Morawa webpage. The PDFs were basically print versions – enriched with links to the online store. This approach was a straightforward reuse of their customer magazines. Over time, however, the numbers of customers downloading PDFs dwindled and only little traffic to the online store was generated from those PDFs. Even after the introduction of an active Morawa App, there was little additional traffic from the PDFs in the App to the online store. Just about 1% of the daily active users opened the PDF magazines inside the Morawa App and clicked on article links inside the PDF. The reason is simple: content that is optimized for print is difficult to handle on mobile devices. It requires constant zooming in and out and thus the user experience is rather poor. The transformation to the content hub changed this. Instead of showing several magazine cover pages as overview, users now get to see teasers of the content. They have direct access to the content, since there is no PDF download needed. The numbers immediately jumped upwards: Morawa saw a 300% (!) increase right away. Posted in Customer and tagged Content Hub, Morawa.